Babaji Caterers and Decorators has been in the business for nearly three decades, and has provided government catering tenders all over Maharashtra. They specialise in vegetarian North Indian cuisine, but also offer Jain, Maharashtrian, Punjabi, South Indian and Chinese food. Whether you're looking to have snacks, main course dishes or juices and ice creams served at your special event, Babaji Caterers can do it all. The team also offers baarat and mandap decoration, orchestra, bands and DJs, and raths and ghoda baggis. 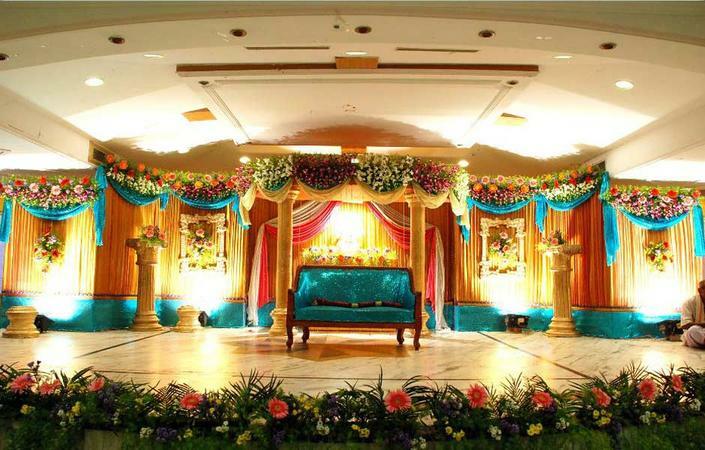 Babaji Caterers and Decorators is a wedding decorator based out of Mumbai . Babaji Caterers and Decorators's telephone number is 76-66-77-88-99, Babaji Caterers and Decorators website address is http://babajicaterers.com/, Facebook page is Babaji Caterers and Decorators and address is Bhiwandi, Maharashtra, India. Babaji Caterers and Decorators is mainly known for Wedding Decoration, Flower Decoration, Theme Weddings, Light Decoration. In terms of pricing Babaji Caterers and Decorators offers various packages starting at Rs 35000/-. There are 0 albums here at Weddingz -- suggest you have a look. Call weddingz.in to book Babaji Caterers and Decorators at guaranteed prices and with peace of mind.